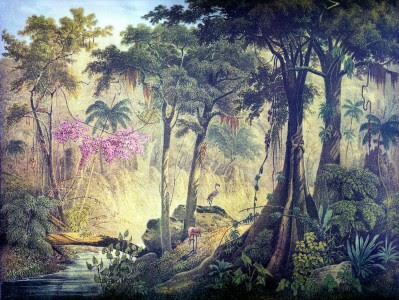 Daniel Serravalle de Sa (autor de “Gótico Tropical: O Sublime e o Demoniaco em O Guarani”), escreveu um interessante artigo acerca da presença da literatura gótica inglesa no Brasil e consequente influência no romance brasileiro. Para ler no The Gothic Imagination. Until the 1990s, there was not much evidence as to the existence of British novels arriving in Brazil. Therefore, it was not unusual for Brazilian historians, critics, and cultural commentators to deem irrelevant their impact on local writers, let alone that of Gothic novels. However, more recent studies demonstrate that a considerable number of novels circulated in Rio de Janeiro in the nineteenth century were in fact British, and many of those were Gothic novels.